Bone-A-Fide Dog Training is involved with “Jail Dogs” at Gwinnett County Jail where inmates are taught to train dogs basic obedience. The dogs are pulled from death row at animal control and live with the inmates in their cells. The dogs are available to the public for adoption. Jail Dogs was featured on the season finale of the hit show “Pit Bulls & Parolees” on Animal Planet on Feb 11, 2012. 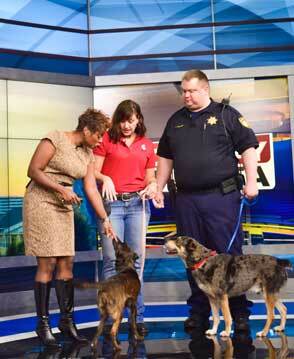 Patricia Hall, CPDT-KA was also featured in Simon Paige’s documentary “Jail Dogs” which aired on NBC. Other TV appearances include CNN, CBS and Atlanta & Company.